This historic building is set within Kensington’s Holland Park and was once used for glamorous summer balls, but it’s now known as an art gallery and venue for hire. Its tall arched windows flood the space with light and the textured stone floor lends charm to this intimate wedding venue. The Orangery is licensed for civil ceremonies and can be hired for weddings during gaps in the exhibition calendar. The space is ideally suited for up to 80 seated guests or 150 standing guests. Kew Gardens offer a choice of flexible spaces which can be hired together, such as the Nash Conservatory which is fabulous for a ceremony and the Orangery which is great for dancing the night away afterwards… Kew have a number of amazing wedding venue options for your ceremony and reception, providing an idyllic garden setting in easy reach of London. They include Kew Palace and the Royal Kitchens, Cambridge Cottage, Nash Conservatory, Princess of Wales Conservatory, and Sir Joseph Banks Building, catering for weddings from 80-200 guests. Located in the Royal Botanic Gardens near Richmond, Kew has a special atmosphere thanks to exotic planting such as the Japanese Garden and tropical forest. Syon House has belonged to the family of the Duke of Northumberland for more than 400 years and its grand classical interiors reflect this rich history. The Great Conservatory sits within a 200-acre park, combining breathtaking grandeur with the feeling of being deep in the countryside. Different venues in the grounds are available to suit you, including The Great Conservatory, Syon House, the Great Hall or State Dining Room. The Great Conservatory can accommodate up to 160 seated guests, with a marquee option for up to 600 guests. This small but perfectly formed Grade II listed Victorian conservatory sits within the grounds of the Horniman Museum and Gardens. Right on my doorstep in Forest Hill, South East London, I often visit the pretty gardens with far-reaching views to the city. There are three venue options here, including The Conservatory which is fully licensed, the bright, airy and modern Pavilion, and The Bandstand which is perfect for small and intimate weddings with its original Victorian elegance and surrounding gardens. All arrangements and catering are through the fabulous Suzanne James Catering, who are well known for their eco-conscious approach and delicious seasonal food. Dating back to 1851, Clifton Nurseries is tucked away in beautiful Little Venice and provides three Victorian glass houses to choose from. It has a secret garden feel to it, with plants and flowers everywhere, making it wonderful for intimate and relaxed weddings. Fully licensed for ceremonies, receptions can also be held in the Quince cafe. If you’re looking for a venue with an intimate atmosphere for your reception only, this internationally prized garden centre, is a tranquil oasis. It’s an eclectic mix of antique tables, candlelight and lush greenery, plus seasonally produced menus, which make for an amazing dining experience. 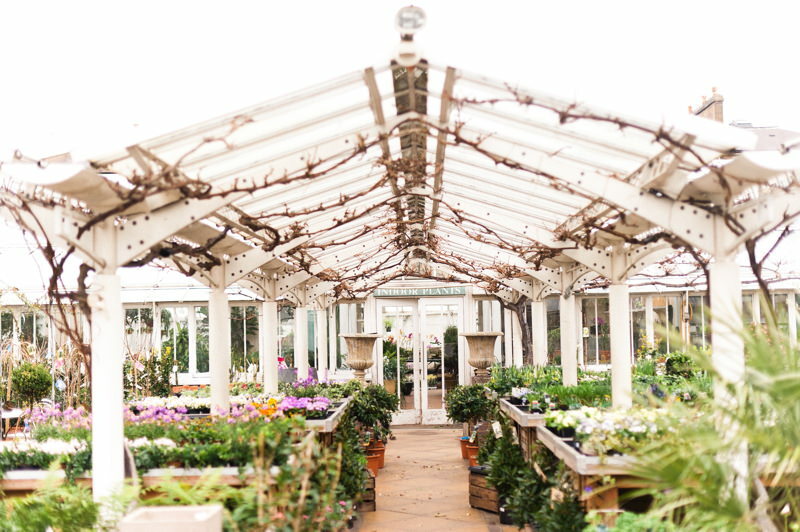 There are choices between exclusive hire of the Petersham Nurseries Cafe which accommodates up to 120 or daytime hire of Glasshouse III for up to 40 guests. Who knew that this hidden gem was lurking at The Barbican Centre? 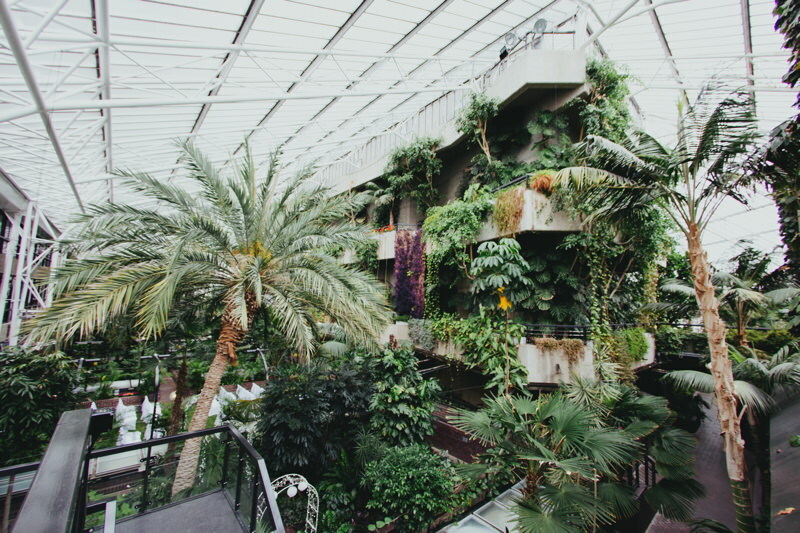 Better known as one of the largest performing arts centres in Europe, the Barbican’s Conservatory is definitely one of the most unusual venues in London. With its glass roof, exotic fish, and tropical plants, it blends the urban London landscape with a lush oasis of plants. There’s room for up to 300 seated guests in the Garden Room, 150 in the Conservatory, plus a whole host of other areas throughout the Barbican available for hire. If you’re looking for sophisticated romance and a showstopping setting for your guests, The Orangery within the grounds of Kensington Palace is unbeatable. It was once the setting for Queen Anne’s soirees and lavish balls, and with its classical 18th century architecture and beautiful formal gardens, it’s not hard to see why. There is room to seat up to 200 guests and it’s popular year-round as the floor to ceiling windows can be closed to create a cosy atmosphere. Another option for receptions only, Bourne + Hollingsworth Buildings is a restaurant and bar situated in the heart of Clerkenwell, just off vibrant Exmouth Market. Its eclectic mix of cane garden furniture and wrought iron benches, combined with fully grown trees and trailing creepers, creates a British colonial vibe. 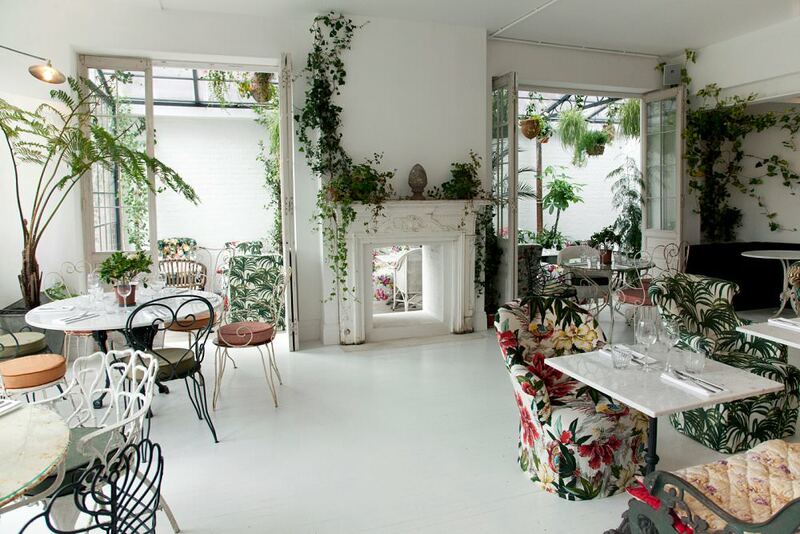 This place would be ideal for small to medium sized receptions and it’s available for full private hire so you can utilise all the amazing spaces, including the cute greenhouse. 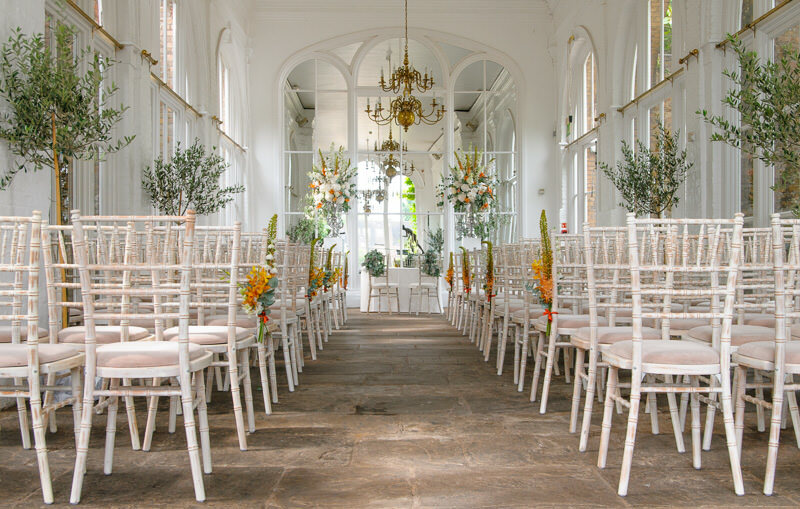 Chiswick House has been a long standing West London favourite for elegant and romantic weddings thanks to its beautiful formal Italianate gardens and 18th century villa. The newly restored conservatory makes a fantastic setting for an intimate civil ceremony for 50 or for up to 80 guests to enjoy post-ceremony drinks among the rare collection of camellias. The House is fully licensed for civil ceremonies, with the Burlington Pavilion marquee available for the reception for between 80 to 250 guests. Within reasonable distance from London is Northbrook Park, a beautiful Grade II listed 18th century manor house, set within a bucolic country estate. The extensive grounds and walled gardens are truly romantic, while the option of on-site accommodation in Northbrook Park Mews means that you and your guests can really relax and have the run of the place. 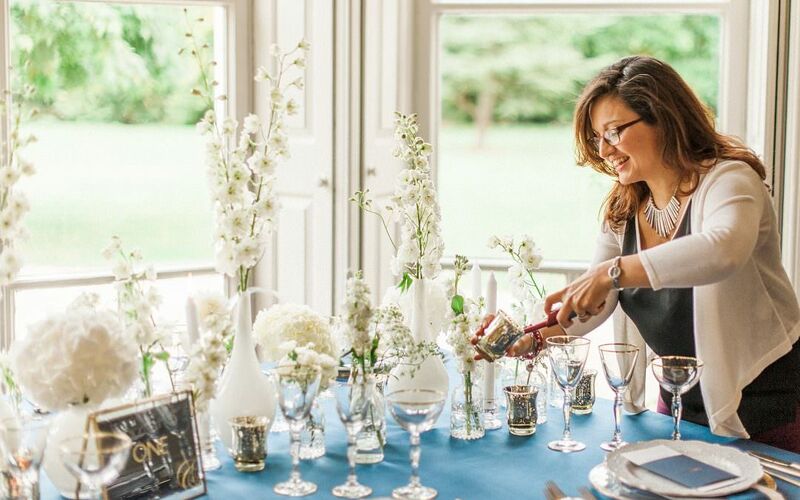 There are venue options of The Orangery, a warm and contemporary space for up to 250 guests, or The Vine Room which features elegant crystal chandeliers and lots of natural light for up to 120 guests. Look out for the resident peacock! I can guarantee you’ve never seen anywhere quite like Sezincote! Set in 4500 acres of Cotswold countryside, this 200 year old Mogul Indian Palace inspired the famous Brighton Pavilion. 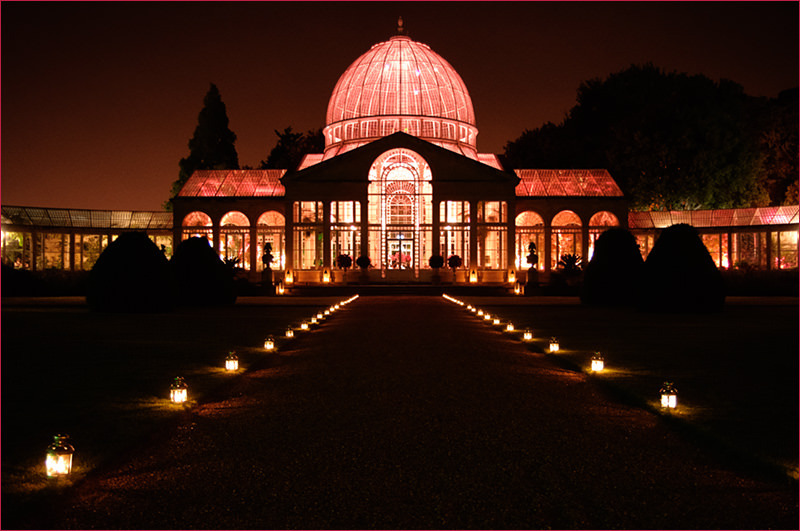 This magical venue only hosts six weddings a year during the summer months and features a unique glass curved Orangery enclosing a Persian Garden of Paradise. You have a choice of locations for different phases of the wedding day, from a ceremony in The Orangery, to a wedding breakfast for up to 120 in a marquee on the lawns with views to the illuminated house. Full of contrasts, this venue is sure to make a lasting impression on your guests! 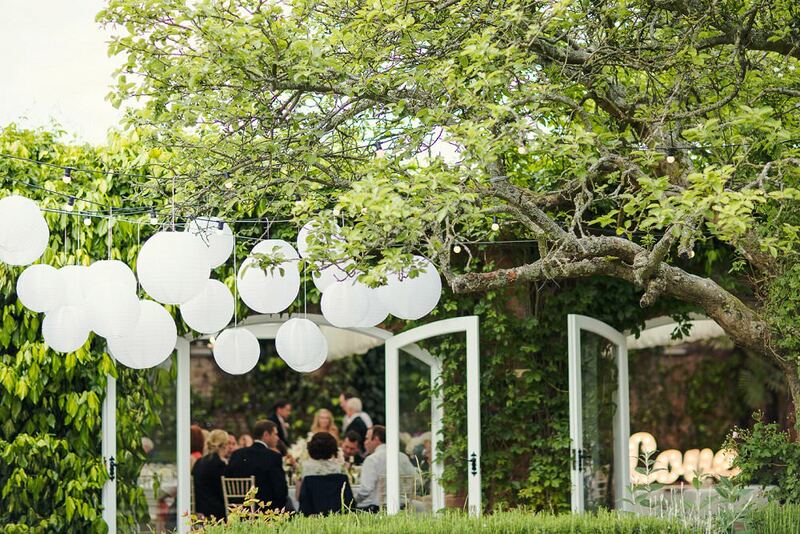 We are so lucky to have so many of these beautiful light-filled glass venues in this country. I know from experience that they really do make the most wonderful setting for your wedding day, especially if you love greenery and interesting architectural details. 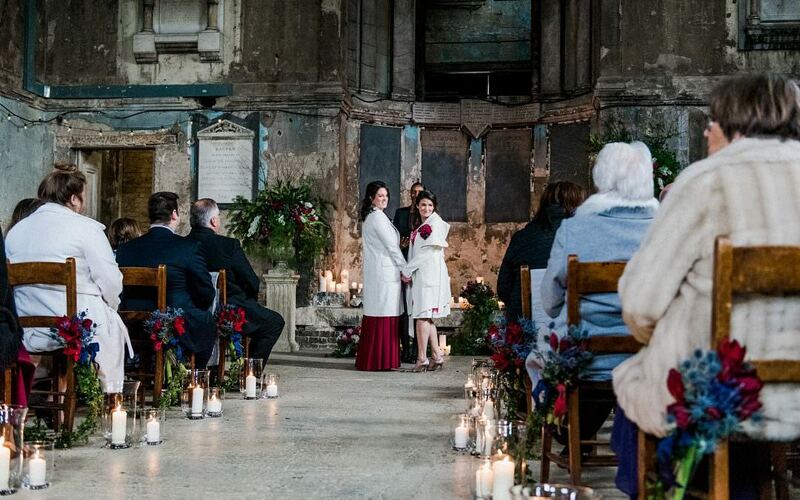 As a creative London wedding planner, I offer venue finding as part of my full wedding planning service, whittling down a shortlist of the best of the best for your needs. It makes your life easier, saves you loads of time, but more importantly, I can find you some absolute gems that you might not have heard of on your own! Get in touch today weddings@alwaysandri.co.uk and tell me what sort of venue you’re looking for. The Kensington Palace Orangery would be my strong favourite in this case, hands down! Stunning wedding venues! I especially like the The Orangery at Holland Park. It’s very gorgeous. No words can express how I was captivated by this place. Thanks for sharing this. Your article is wonderful! A lot of great tips and very nicely written. 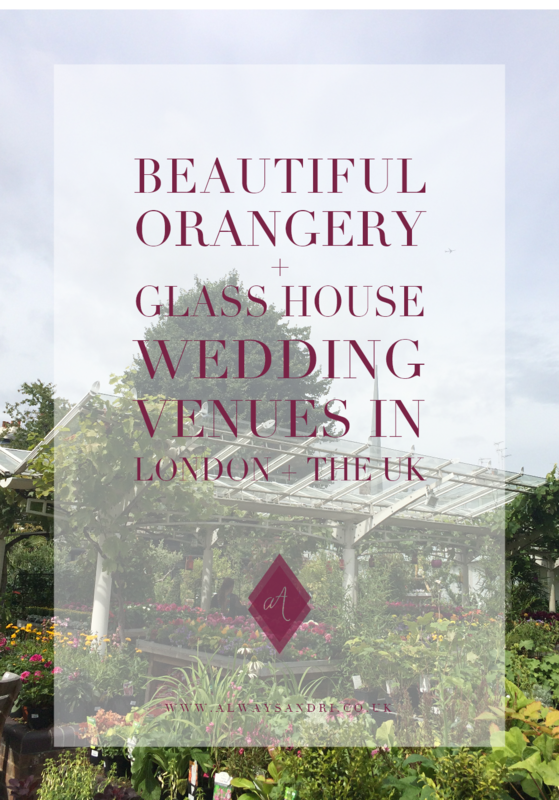 A lot of thanks for sharing with us the beautiful orangery style wedding venues in the UK. Within last few days, I am finding on online about this topic. I personally think that this is a so helpful post those people finding on this topic. If there’s one thing that I’ve learned from being a bride and from attending other weddings, it’s that a DOC is required! Thanks for the great read!